Hi Jane, thank you for your kind words :) I think yours look much like roses!! Thanks! Actually the mould that you have will be too big??? That is more for mini cakes? Or you referring to those for chocolates? Err...Actually I have provided the links on how to mould it into roses. It's using a crimper. Refer to E's Joie's blog and you will see exactly how to do it. I hope this helps. :p Let me know if you need further advice. Thanks for your compliments. My colleagues "wowed" over your beautiful pineapple roses! And I thought your sharing was truly good! Thanks for sharing btw! 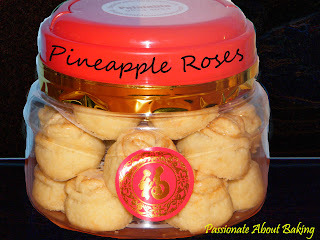 I'm falling in love with the roses pineapple tarts! 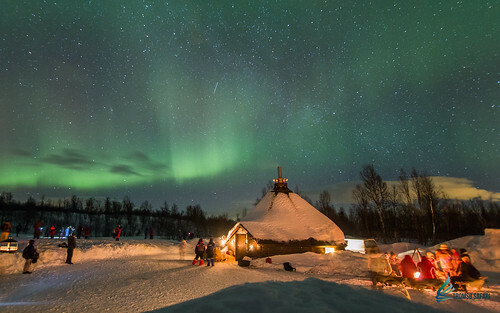 It looks very lovely! I hope I've enough time to learn this for coming CNY. Thanks for sharing! Yes boy! 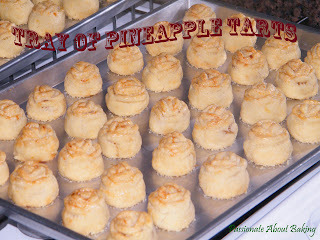 Nothing beats a homemade pineapple tarts! I'm sure you'll make beautiful tarts too! What an adorable post. :) You're so sweet to bake for everyone at the office. I wish I had colleagues like you when I was still working. The cake recipe looks really straightforward ... 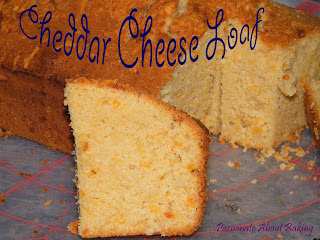 I am tempted to try, does the cheesey taste overwhelm? Or is it subtle? I had a "mission" to accomplished. So I had to do it! :p The cheese taste is very subtle actually. I thought I would like it better if it's more cheesy. I supposed you like it to be subtle?